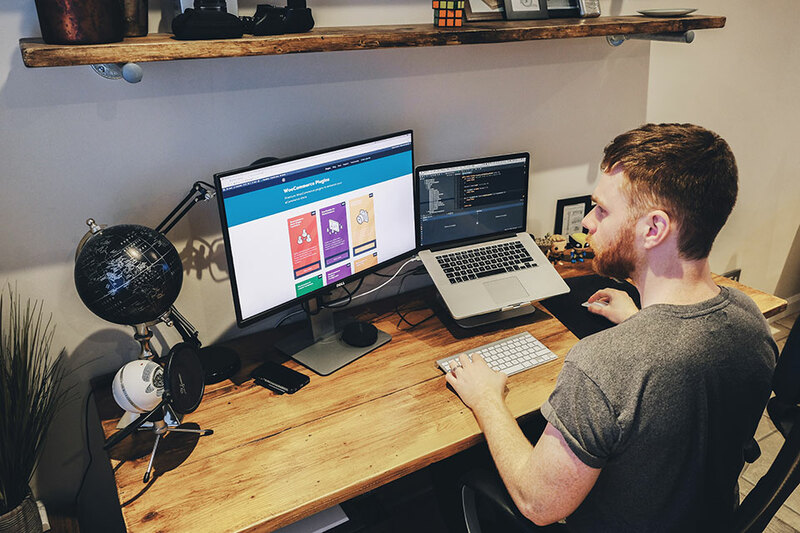 A very exciting interview is in store, as this time we get caught up with James Kemp, the founder and owner of IconicWP, a thriving premium WooCommerce plugins store. James, thanks for agreeing to share and talk about your WordPress products and business strategies with us. Why don’t we start off by getting to know you a bit – where are you based? Are you working from home or from an office? Hello! Thanks for having me. Freemius has been instrumental to my business, so I’m excited to share what’s been going on. I’m currently based in a rural village in the Midlands of the UK. I work from home. Previously I had my own office room at home, but when my second child came along it was turned into a nursery. As such, I now work from the kitchen which we’ve turned into an office space using reclaimed scaffolding boards. It can get tricky, as my family is home 3 days a week and the children don’t always understand that I’m working. But the other side of that is that I get to see my family more than most people who work 9-5. I’m tempted to do a garage conversion at some point so I have a slight disconnect between work and home. Wow, you must have some outstanding self-discipline & concentration skills. What’s the background story behind how you got into the business you’re currently in? I understand you actually started off with music studies! I did! I studied Music Technology from when I left school at 16 until I graduated university at 21. It was actually at university when I started dabbling with web design. I’ve always been (or wanted to be) creative and entrepreneurial, so I started out creating banners for a friend who ran a website. This was, of course, the era of MySpace. Over time I transitioned into creating custom MySpace pages for bands (see the musical connection?). This led me down the road of learning CSS/HTML to a basic level. My favorite aspect of Music technology was studio engineering. This led me down the path of development. One module I remember was being tasked with creating some software which would react to some kind of input device using MIDI. I experimented with building a rotational device using an old mouse ball and the runners to trigger scroll events. It didn’t go too well, but it got me into development! When I left uni with a degree in Music technology, it became apparent that there aren’t really any jobs in it, unless you’re an incredible producer. My focus shifted to web design and I started applying for jobs. In 2009, I managed to find a job as a web designer at a company which was just starting to grow. I was hired based on a project I did, using Joomla to create an e-commerce site for a company selling clothes. It was at this job where I was introduced to WordPress. Before then I had never really touched PHP (other than copy/paste). I became one of the go-to WordPress developers at the company. We used to work a lot with Magento too. We’d build Magento stores and then have a disconnected WordPress blog in a subfolder. This was when my first plugin came about; Magento WordPress Integration (previously called Wordgento). It was a WordPress plugin that allowed you to pull in blocks from Magento and display them on your WordPress site. It made it far easier to match the Magento theme with the WordPress theme, and also to maintain cart data across the two CMS platforms. Eventually, I left that company and moved on to freelancing. I formed a company called Platform in 2013 with a friend. We experimented with JigoShop and eventually moved over to WooCommerce. My first plugin for WooCommerce, WooThumbs, came about after one of our clients required multiple images per variation. It has since developed into much more than that, and continues to be one of my top-sellers. As time went on, more plugins came about and Iconic was formed. I now work on Iconic full-time. Quite the evolution story! As far as I know, IconicWP is a one-man-show. How do you get around handling everything about all of its products on your own? In terms of development, yes, it’s just me. However, I do have help with support from Jamie Blanchett. Without his help on support, I would be drowning. He is the first responder when it comes to support requests. He’ll answer the basic questions, and gather information required for me to look into the more technical ones. One thing I’ve released recently is a plugin for gathering user feedback and feature requests; Simple Feature Requests. This also helps me to prioritize which features I should work on next. 2 of my plugins generate 60% of my total income. This means I prioritize my time based on which plugins have the biggest audience. The hardest part is when WooCommerce release an update and I need to ensure 12 plugins are compatible. I have a framework I use for all of my plugins and I automate a lot of things with Gulp; this helps to speed things up a bit. In terms of marketing, I currently do that myself too. However, I’m in talks with a WordPress product marketing expert, so I hope to begin offloading a lot of the marketing efforts to someone who knows more about it. Outsourcing aspects of Iconic is hard for me as I care so much about each aspect of the business. However, if someone is reliable and can do it better than I can, then it’s an important step to take. Looking at the premium product inventory offered for sale by Iconic – it’s hard not to notice the common element entwined between them. 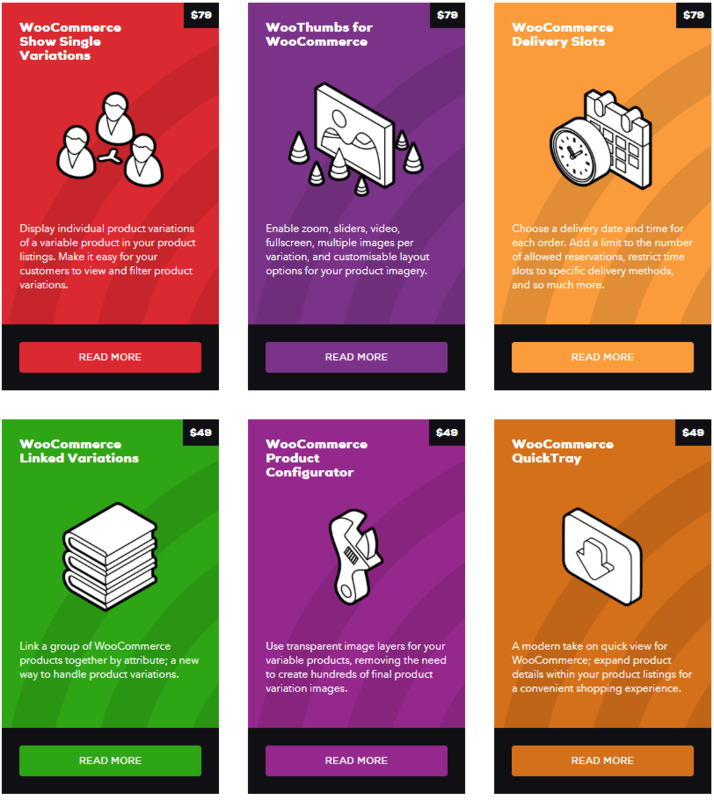 What made you focus on creating and selling premium WooCommerce plugins for eCommerce stores? For me, it immediately made sense to focus on e-commerce software. My customer base is primarily comprised of store-owners, which means the plugins I sell help them to make money. In turn, they have more money to spend on plugins that help! The reason I focussed on WooCommerce is because that’s what we used to build e-commerce stores for our clients. It is the best e-commerce platform for WordPress and I know it very well. What in your mind makes the Iconic products special when compared with the other solutions for eCommerce stores out there? There’s a number of reasons I believe my products are special. My knowledge of WooCommerce. My focus on WooCommerce has given me an in-depth knowledge of the platform. If I see an issue I can usually pinpoint where it’s coming from and roll out a fix quickly. I am in many WooCommerce related groups so I’m always aware of what’s going on with the system. Direct communication with customers. As I am the sole developer at Iconic, I get to choose what goes into the products. Customers get to speak to me directly and I often implement their feedback within a matter of weeks. This is rare with other companies. This plugin is a user experience dream! My experience with building e-commerce stores. 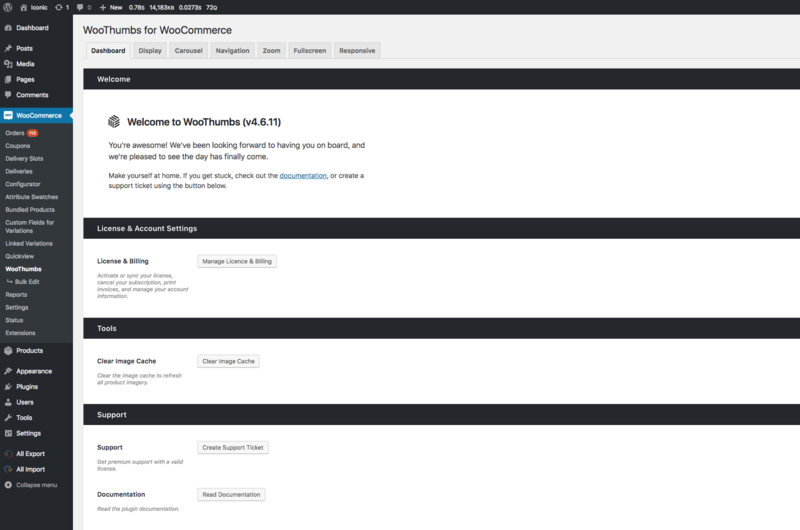 I’ve built and maintained a number of WooCommerce stores. So on top of building software for WooCommerce, I also have an understanding of how a store should work. I never stop. I’m constantly working on and evolving Iconic and its plugins. User feedback is important to me and I think my customers appreciate that. 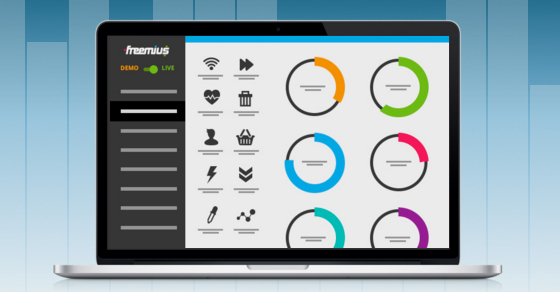 You’ve previously been using CodeCanyon to sell your products but have decided to try out Freemius. Can you remember what were your main concerns about the service, prior to making the move? 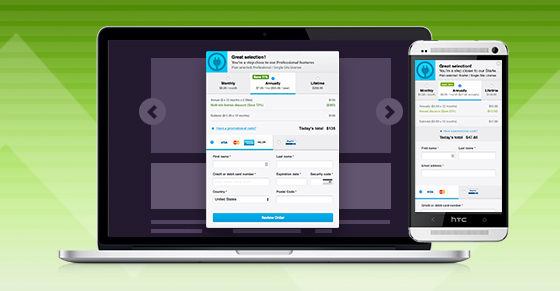 When I started selling plugins back in 2011, CodeCanyon was a great platform to choose. It already had a large customer base and systems in place for me to accept money for my products. Over time my sales grew, surpassing the Elite author status. It was in 2017 that I decided to switch. I’d noticed that my sales had started to even out to a point where I was consistently making around £3000 to $4000 per month. While this was good for a side income, if I wanted to focus on Iconic full time I need to increase this. To know who my customers were. This was not possible on CodeCanyon. Every purchase was essentially anonymous so I had no idea who was using my plugins. To enable subscription payments. This just wasn’t an option on CodeCanyon. Customers could buy one license and use it forever. In order for me to keep improving the products, I needed customers to continue supporting the products by paying for updates. To manage licenses more effectively. Customers on CodeCanyon could buy one license and use it on as many sites as they like (although this wasn’t the terms of the license, it was entirely possible). There was (and still is) also no license for more than one site. January to May show my CodeCanyon sales in full swing. It was the end of May when I switched to being a non-exclusive author on CodeCanyon. I really needed to start moving all my plugins over to Freemius as soon as possible after this. Transitioning side-by-side meant my income mostly stayed at the same level. By August I had all my plugins available through Freemius and also enabled free trials. You can see the initial impact of the trials from the drop in sales, but then there was a sharp spike the following month. In October I completely disabled my CodeCanyon profile. I’m anxious to see how the revenues will be affected once the subscription renewals start to kick in. Out of curiosity, what were the reasons that eventually made you decide to get onboard with Freemius? When VAT MOSS kicked in for the UK, I decided it was time to make the switch. I was looking for a platform that would solve my issues listed above, whilst also dealing with VAT MOSS for me; I have enough to worry about! This one is begging to be asked: Why aren’t you using WooCommerce to monetize your WooCommerce products? It kind of ties into the above. I wanted a platform that handled VAT MOSS for me. I couldn’t find a solution to do this using WooCommerce alone. 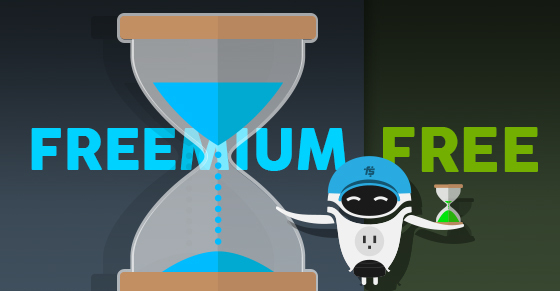 How long did it take to integrate Freemius into an Iconic plugin and start selling & gaining insights with it? The initial integration didn’t take too long but probably took longer than it should have. My use case for Freemius was slightly different than normal, as all of my products are premium only. I wanted to manually integrate the setting pages into my plugins, so I built a custom class to customize the look and feel a bit. Once my initial setup was complete, I could integrate it into the other plugins and have them up for sale within 30 minutes (in theory). My process was a bit different as I ran Freemius alongside my CodeCanyon profile in order to allow some time for the transition to take place. There was approximately a 6 month period where my CodeCanyon account was on a “non-exclusive” plan (they take 55% of all earnings). This gave me some time to warn the existing customers that I’d be moving away from CodeCanyon. I set up a script to generate any existing customers a license for at least 6 months. This meant a lot of my existing customers were be able to transition over to the new system. 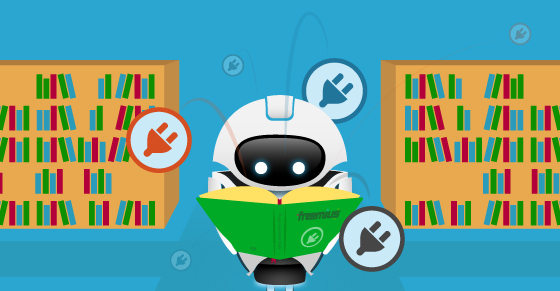 The insights from Freemius started coming in right away. I could immediately see who was installing the plugin and where they were using it. This is invaluable in terms of progressing my products. Iconic has recently started taking advantage of the ability to sell bundles with Freemius. How has that been working out for you so far in terms of business feasibility? Yep! A couple of weeks ago I launched some bundle plans. Currently, I have 3 subscribers, so it seems like over time this may become a very effective customer retention tool. Soon I’ll likely be teaming up with a hosting provider to offer some additional benefits to having an Iconic bundle. It’ll be interesting to see how this progresses as it was never an option on CodeCanyon. Another conversion-rate booster you’ve been using with Iconic plugins is offering free trials for your potential customers. Can you share how well that has worked for your business and customer satisfaction? This chart shows the percentage-based breakdown of transactions for Iconic in March 2018. There was a total of 286 transactions, earning just over $7700 after fees. As you can see, new trials accounted for 50% of those transactions. My trials last for 2 weeks, so all going well they’d then turn into “Trial Conversions”. Trial Conversions made up just over 25% of all transactions in March, which is more than new sales (i.e. straight up purchases with no trial) at 23%. Renewals are very low at the moment, as I’m only just coming into the first renewal period. Also worth noting that these aren’t auto-renewals. These are manual renewals from users who moved over from CodeCanyon. This month (April 2018) they’re already at 3.85% of the total transactions. Trials give the user some time to discover if the plugin is for them. It’ll also help them to spot any issues that might occur and experience the support we give at Iconic. If a customer does cancel a trial, Freemius will automatically email the customer asking them to give a reason for the cancellation. This helps massively to figure out how you can make the product better and has also helped me to get customers back on board. As always, talking to customers is vital. How would you describe your experience working in cooperation with the Freemius team towards increasing sales & revenue for Iconic? The team at Freemius is great. Vova, in particular, is always on hand to fix any bugs I encounter, and also offer invaluable advice when it comes to pricing and marketing techniques. There’s a community on Slack which is a great way to communicate with like-minded people. Especially as I run Iconic mostly on my own. Where do you see Iconic in 3 years from now? I’d love to have another developer or two on board to help drive new features and new plugins. On top of this, having someone deal with the marketing of Iconic products would be great. I want to keep creating plugins for WooCommerce and improving the ones I have. Another thing I’m considering is moving into the theme market. I have a number of designer contacts and believe we could create some fantastic niche themes for WooCommerce. 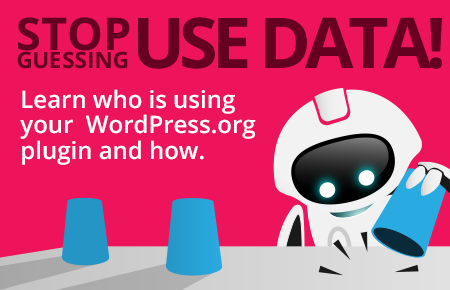 What’s one good tip you can provide for developers who are looking to create a sustainable business around WordPress plugins in 2018? I think it’s hard to just create a product and start selling it. The best way to get started, in my opinion, is to work closely with clients who require certain functionality. Doing so will immediately validate any product you build, as you already know someone wants it. Chances are, someone else will too! James, thanks for agreeing to answer our questions and for agreeing to share your thoughts about running a sustainable WordPress-based product business. Keep up the good work! What’s the best way for our readers to reach out to you? You can catch me on twitter as jamesckemp or IconicWP, and you’re welcome to drop me an email at support [at] iconicwp.com. Hi, it’s great interview and story. Wish you all the best with your plugins promotion and more income. I have one question – as I undestand – you have added Freemius code to your Codecanyon plugin, when you made it non-exlusive? 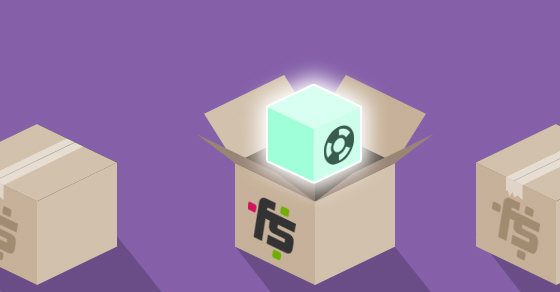 How did you move your Codecanyon customers from Codecanyon to your Freemius subscription? I added Freemius to the CodeCanyon plugins in it’s basic form (as though it was a free plugin, so users had to opt-in). Then within my settings page I had a large red notice letting the user know I would be moving away from CodeCanyon and if they wanted to continue to get support/updates, they’d need to transition over to the new licence system. I wrote a script that checks the Envato API for a valid purchase code, then generates a licence key via the Freemius API (http://iconicwp.com/generate-a-licence). Customers that used this were then given at least 6 months (depending on when they purchased) of support and updates. Once it expires, they’d be required to renew the licence to keep getting support/updates. I had this notice on my Envato plugins for ~6months, then I took them down. They were “soft-disabled” on Envato. I had ~10,000 sales on Envato, and only 1 or 2 complaints about the change. Most people were happy to see me moving up in the world. Some people have still not transitioned, but the option is there for them to do so at any time. Hope this helps. It was complicated, but worth it. I have a plugin on CodeCanyon called TWIST which also adds a product gallery slider for single product page like WooThumbs. When I released my plugin on CC I really didn’t know that your plugin exists on CodeCanyon. Only a few months later when I searched something on CC I found your profile and the plugin, WooThumbs. I was really stocked to see your sales. I admit, that time your plugin had very good features comparing to mine. So I updated my plugin and released version 2.0 with improvements. I’m also planning to release version 3.0 with more improvement. I also decided to use Freemius for my upcoming products. But I see that Freemius has only one withdraw method which is PayPal, and it’s not supported in my country. When I find a solution to my PayPal problem, I will start my journey with Freemius. I was also stocked when I saw that all items have vanished from CodeCanyon. Thanks for this interview because now I know the reason. I wish you very good luck to you and your family. Thanks for your reply but why I can’t see the Payoneer option on my dashboard? It’s not integrated into the UI of the dashboard, yet. Just shoot us an email with your Payoneer account’s email address, and we’ll update it on our backend.